What can we learn from tribal societies about the ways in which, in a variety of social settings, groups of men resolve their conflicts with other men? In order to answer this question, Politics, Law and Ritual in Tribal Society compares nearly forty case study societies, most of them in Africa, in their reconstructed pre-colonial tribal condition, comparing their small-scale social relations to their large-scale social context. At the outset Gluckman explains to the reader that custom is the focus of interest of all types of anthropology. 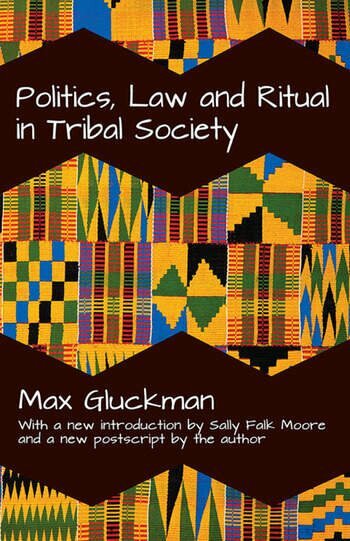 Yet his approach manifests a strong interest in economy, politics, and social relationships.In the volume, Max Gluckman offers a succinct version of a lifetime of opinionated analysis. This material is organized by theme and the ethnographic examples appear as brief illustrations of theoretical questions. Discussed here also is the relation between disputes and struggles for power within the context of mechanisms of social control and stability.In addition, Gluckman presents a step-by-step survey of the cumulative development of the anthropological analysis of tribal institutions, from the nineteenth century to the present, and supports the argument that anthropology is a science rather than an art. The new masterful introduction by Sally Falk Moore, along with a new postscript of Gluckman's professional activities and publications, provides newcomers to the work of Gluckman with deep insights into the contents as well as contexts within which the great anthropologist worked.